The powder is buttery soft - probably one of the creamiest powders I have ever used. In fact, I have made some little dents in it just from removing the plastic cover - that is how soft it is. I use a very light hand and only the smallest amount on the tops of my cheek bones, a tiny amount on my cupid's bow and a little on the inner corners of my eyes. The swatch above shows how pigmented it is, but it is swatched quite heavily on my hand to show the colour but I personally use a much lighter touch when applying it. 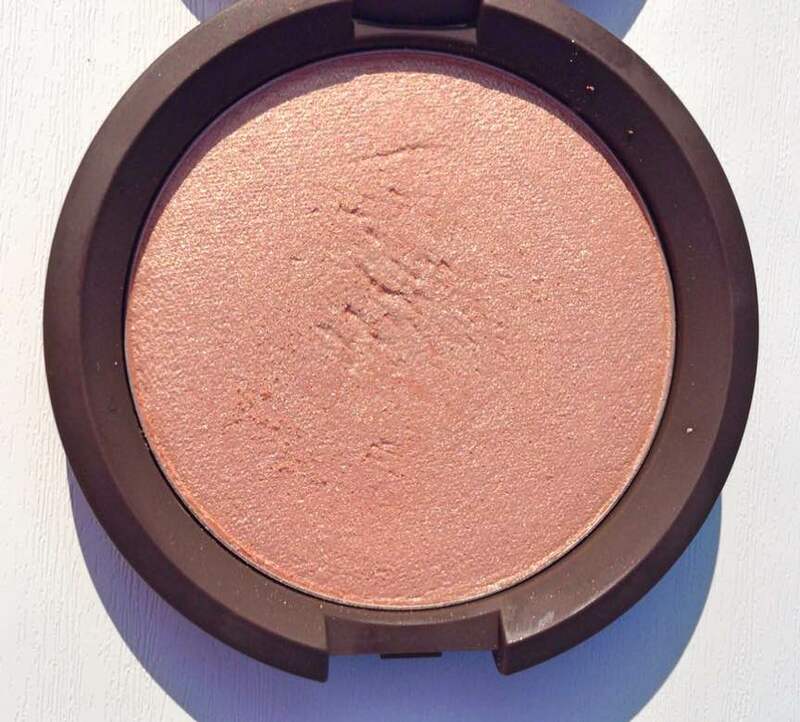 I don't have a similar highlighter in my collection so am delighted to own this, but it still doesn't beat my absolute favourite highlighting product, which is Kevyn Aucoin The Celestial Liquid Lighting, which is more subtle than Champagne Pop and is perfect for everyday wear. In on of her recent videos, Lily Pebbles said that she thinks that Champagne Pop will be released in the U.K. soon, which is brilliant news! Are you tempted to buy it? Do you have anything similar in your collection? I'd love to hear your thoughts on this gorgeous product!